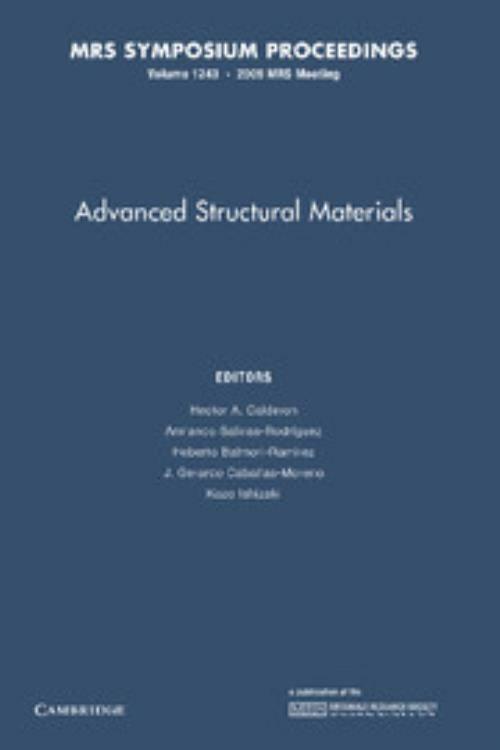 This book is a compilation of papers presented at Symposium 5, Advanced Structural Materials, held at the XVIII International Materials Research Congress 2009 in Cancun, Mexico. The symposium was co-organized by the Sociedad Mexicana de Materiales (MRS-Mexico) and the Materials Research Society (MRS). The book is devoted to fundamental and technological applications of structural materials, and features scientists from various backgrounds with a common interest in the development and use of structural materials. In particular, the presentations offer overview and recent investigations related to advanced structural metallic, ceramic and composite materials. Topics include: innovative processing; phase transformations; mechanical properties; oxidation resistance; modeling; and the relationship between processing, microstructure and mechanical behavior. Papers on industrial application and metrology are also included. 24. Metallurgical effects of solution heat treatment temperatures of alloy HaynesTM HR-120TM for land-based turbine application; Author index; Subject index.